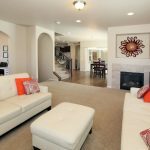 You will want to call this home as soon as you step through the front door! * Formal living room with gas fireplace * Flex room can be used as a formal dining room or office * Large dining area with hardwood flooring * Gourmet kitchen features double ovens, gas range, granite, breakfast bar, large island, and pantry * Sizable master bedroom with adjoining 5-piece bath, walk- in closet, and private patio * Basement with 9ft ceilings and rec room * Covered back patio * Central air * Close to neighborhood parks * Immaculate! 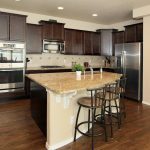 Attractive features throughout this beautifully designed home include archways, iron spindles, butler’s pantry, staggered kitchen cabinetry, tile backsplash, stainless steel appliances, hardwood flooring, and recessed lighting. 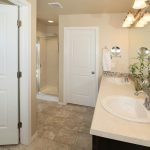 Bright master bedroom and luxurious master bathroom with soaking tub, separate shower, and double sink vanity. Also on the upper level, two additional bedrooms, a full bath with double sinks, linen closet, and laundry room with a window. 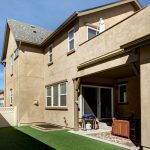 The finished basement offers a spacious recreation room, fourth bedroom, 3/4 bath with a large shower, and large storage room. 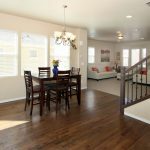 Enjoy the no-maintenance, smaller backyard (with artificial turn) so you can utilize all that the Wolf Ranch D20 community has to offer! 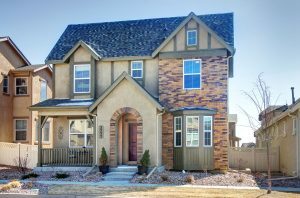 Lovely 3-bedroom home for sale in Colorado Springs!